In this busy life, Everyone is busy with their smartphones from day to night. Since it's a machine and needs the power to work chargers are there to help oneself getting back some life on his smartphone. But the major problem arises when someone charges his smartphone through a non-recommended charger which may lead to damage the battery life. 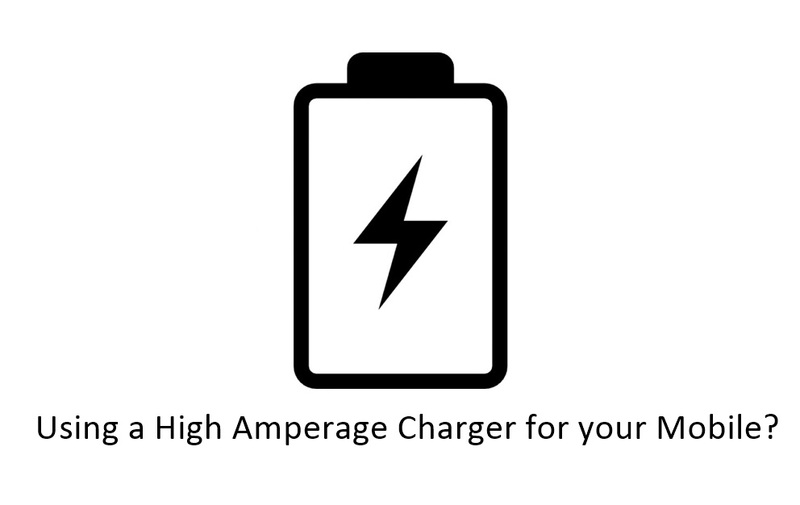 This is a post where we'll be discussing some issues related to using a high amperage charger for any smartphone. Using a low amperage charger for your smartphone is not at all a problem which may cause any worry for the owner and even it does not damage the battery life but at the same time using a high amperage charger causes several problems to the device and battery. Since this charger is a low-speed charger it took approximately 6-7 hours to complete the charging of smartphone up to 100% but is safer as the current flowing to the smartphone is less as compared to recommended one. So it will not harm device battery. Same thing happened with this charger also but the time is taken to fully charge the device was 4-5 hours and everything was fine as in the case of 0.5 Amp Charger. Chargers of this Amperage are considered to be fast chargers. However, this won't be creating any issue overcharging and will fully charge the device in 3-3.5 hours. But to be sure this charger will also not cause any damage to your battery since it's the one having less amperage than recommended charger was having. Now here comes the game changer, this charger gave some unexpected results which were so common in many devices charged using high amperage charger. Since recommended charger was 1.5 Amp and here the charger used is 2.0 Amp which is a bit risky for battery life. Besides the battery life, one of the main issues faced by many mobiles using high amp charger was the lag in working and improper functioning of the touch screen when the charger is plugged in. After this small experiment, I could finally conclude that using a high amperage charger(higher than recommended) for your mobile can cause many issues which may include battery life loss, heating problem, lag in functioning and improper working touchscreen.